There’s something magical about discovering the local food that every country has to offer. Finding it isn’t always easy, though. You can search for Michelin-starred restaurants or try to find what’s popular on Yelp, but the best way to have an authentic, delicious, and cost-effective gastronomic adventure is to check out a local food market. Travelers to Europe are in luck as there are markets located in popular destinations all over the continent. Some are well known and have been established for decades while others are more recent establishments, often tailored towards travelers. 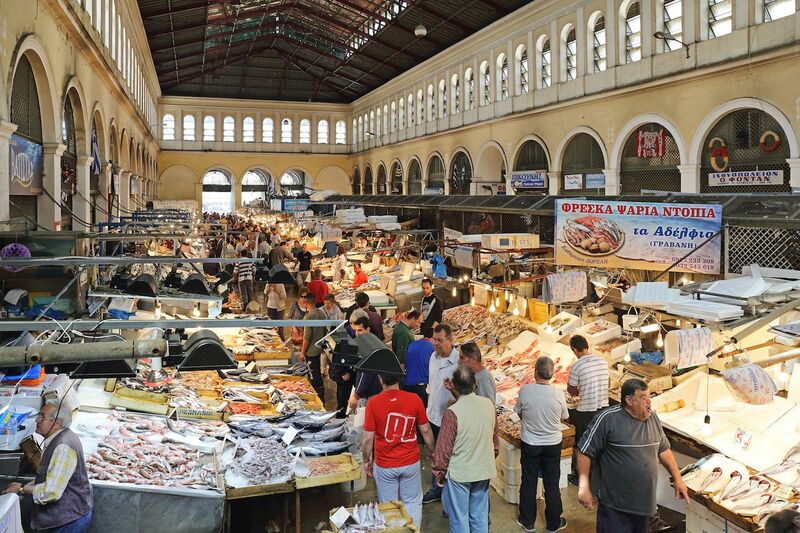 These are the nine best food markets in Europe you don’t want to miss. This is the place to go when you want a side of gorgeous architecture with your goulash. 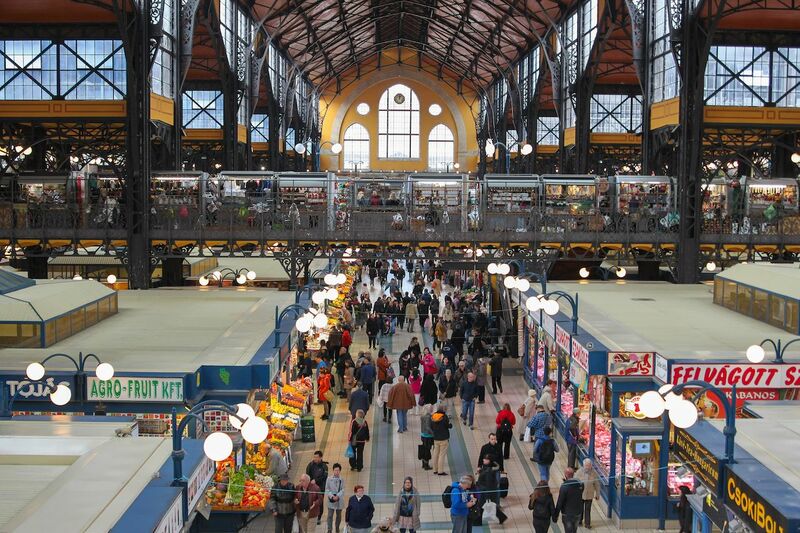 The Great Market Hall in Budapest dates back to the 1890s, but it was completely rebuilt in the 1990s. It’s popular with locals as well as tourists. 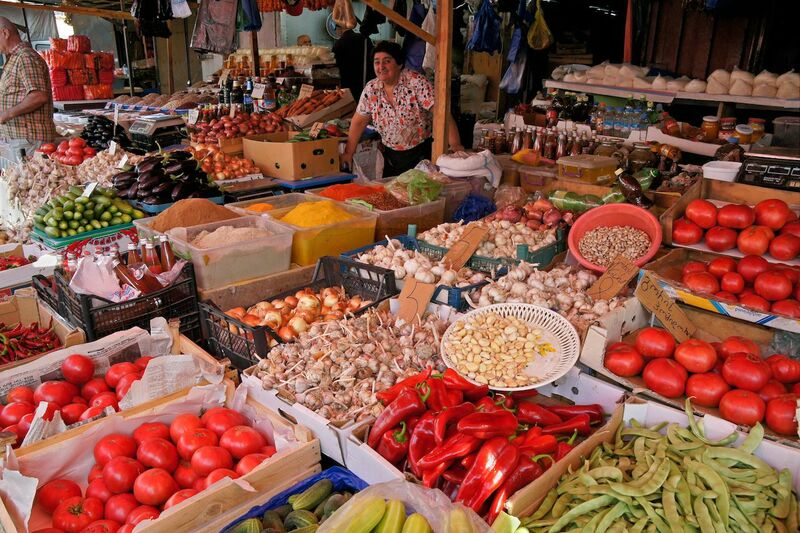 Here, you’ll find local cheese, meat, Tokaj wine, and plenty of famous Hungarian paprika. Don’t leave without picking up a slice of dobos torte, a sponge cake made with chocolate and caramel that’s popular throughout Hungary. 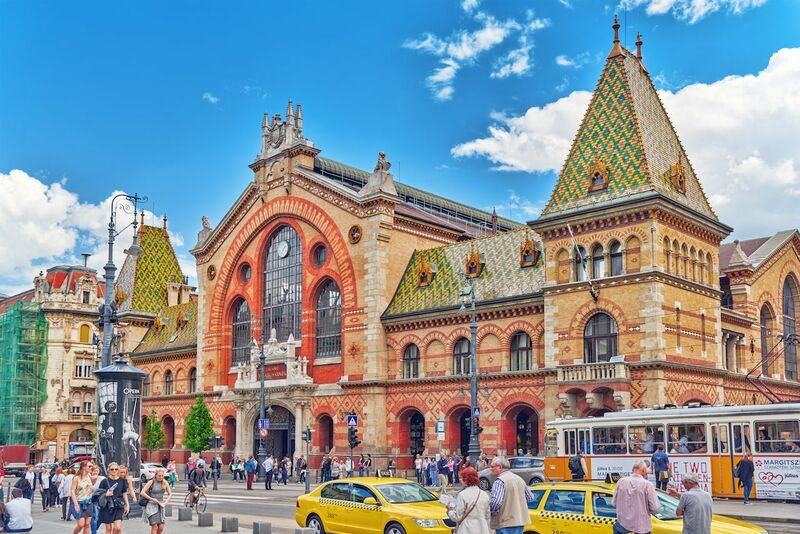 It’s the perfect day activity before hitting up Budapest’s famous ruin bars. Oslo isn’t cheap. 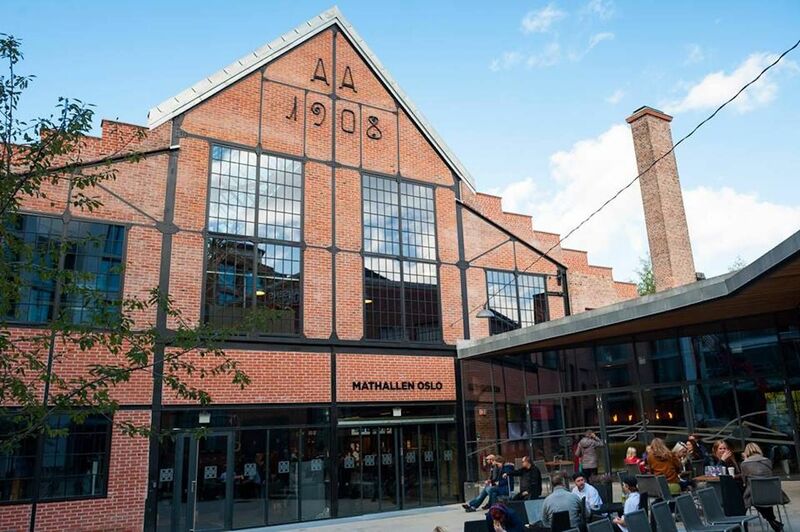 You’re likely to burn through your kroner fairly quickly no matter where you go out to eat, and visiting Mathallen is no different. Some things are worth the cost, though. Located in the trendy Vulkan neighborhood that borders Grünerløkka, the market caters to tourists, locals, and professional chefs. Pretty much everyone comes here because there’s a little something for everyone. Make sure to try out the local fish specialties, and check online for events that might be happening during your visit. The Dezerter Bazaar is not housed in a fancy building, nor does it offer restaurants to sip your Prosecco. Here, it’s all about the food. There’s an array of treats from around the country of Georgia, including handmade bread, fresh fish, fruit and vegetables, cakes, and famous Georgian wine. If you look hard enough you might even come across some fiery chacha. It’s a bounty that’ll make you understand why Georgia is the next must-see destination for wine and food lovers. To make it a truly local experience, stock up on orange wine and grab a few khinkali dumplings and cheese-stuffed khachapuri bread. 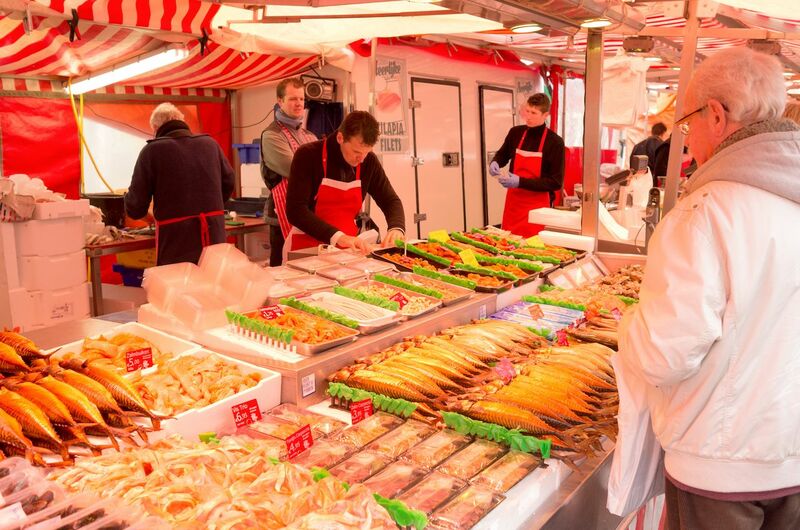 We couldn’t make a list of the best food markets in Europe without including France. While technically a pedestrian street and not a food market, Rue Montorgueil is so packed with restaurants, cafes, and stalls that it belongs on every food market destination list. It’s located in the Les Halles area of Paris. 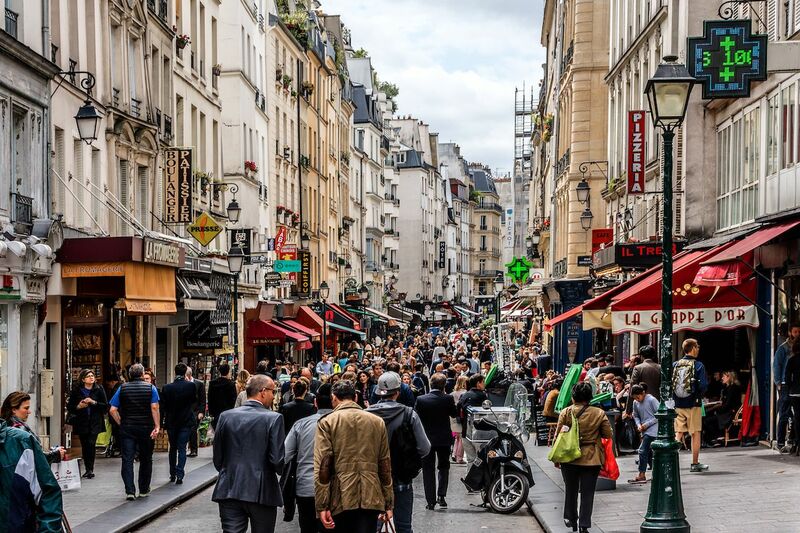 With plenty of side streets to explore along with the main walkway, you won’t be disappointed with the sheer array of Parisian goods on offer — and of course there are plenty of places to sample the best French food and wine pairings. If you’re keen on French pastries, make sure you visit Pâtisserie Stohrer, one of the oldest bakeries in the country. Athens’ Dimotiki Agora offers fish of all shapes and sizes by the bucketload. Wandering the aisles, you’re sure to find everything from the smallest whitebait to the largest grouper. Pro-tip: Wear closed-toe shoes unless you want to squish around in fish guts and scales. 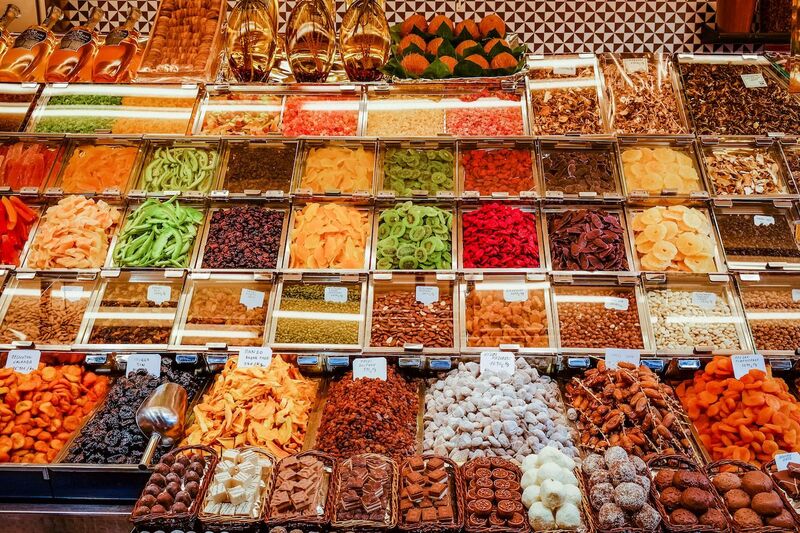 The surrounding neighborhood has a massive array of shops selling sweets, nuts, and dried herbs from around Greece, and there are plenty of places to stop and grab a bite to eat throughout the market. Originally opened in 1904, the Albert Cuyp Market has more than 250 stalls in Amsterdam’s De Pijp neighborhood. There’s an eclectic mix here, and you’re sure to find both the familiar and the unknown. You’ll also find a huge range of clothes, souvenirs, shoes, luggage, and more. Grab a Dutch herring to snack on and then buy a but a stroopwafel. Don’t forget finding a nearby bar for a traditional shot of genever to wash it all down. One of the most famous food markets anywhere in the world, La Boqueria is located just off the famous Las Ramblas, right in the center of Barcelona. Fully enclosed since 1914, it’s home to many third- and fourth-generation sellers hawking everything from vegetables, meat, fish, candies, herbs, and spices. Walking through, expect to experience a cacophony of noises, smells, and tourists. Don’t leave without eating some tapas and taking some meat and cheese to go. Try to visit before 2:00 PM to avoid the worst of the crowds. 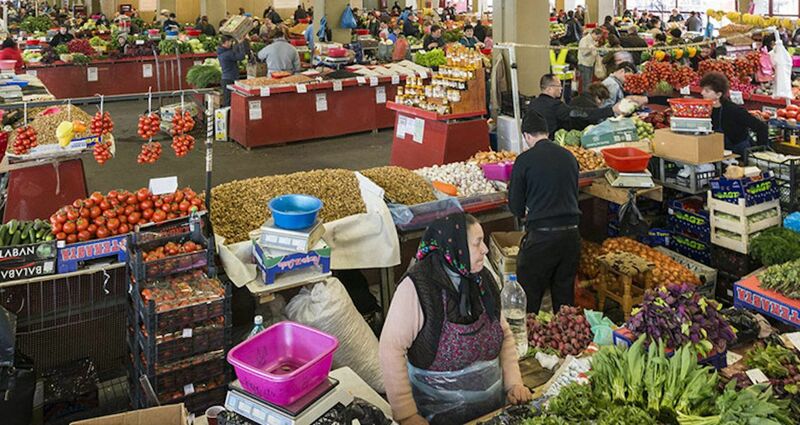 With everything from wild mushrooms to sauerkraut, the Piata Obor market not only provides local residents with food, but it also supplies fresh produce to some of the city’s best restaurants and cafes. The market specializes in local foods, and the large modernist building is one of the best places in the city to sample mititei sausages. There is also an obscure range of household goods on offer here — handy if you’re in desperate need of a cheap cooking pot or ironing board. With 60 stands selling every food item you can imagine, it’s hard to go wrong at Torvehallerne in Copenhagen. Whether you’re looking for delicious gourmet chocolates or artisan salts — or simply want to grab a wine or beer in a gorgeous setting — you can find it here. The market is particularly known as a great spot for grabbing breakfast, but if you’re looking for a late-night sweet treat, you won’t come up short. 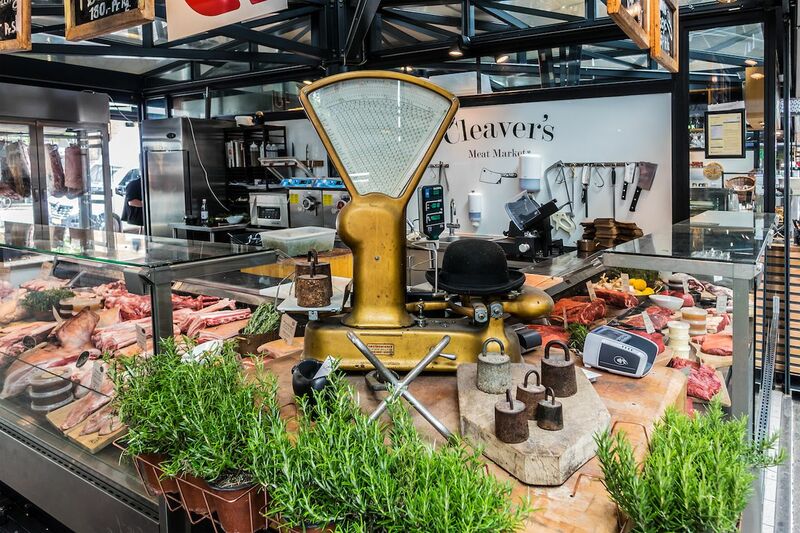 The post The 9 best food markets in Europe you need to visit appeared first on Matador Network.